It was hard to keep the news to ourselves, but we were sworn to secrecy until the awards were announced on the weekend of the FHT Congress. 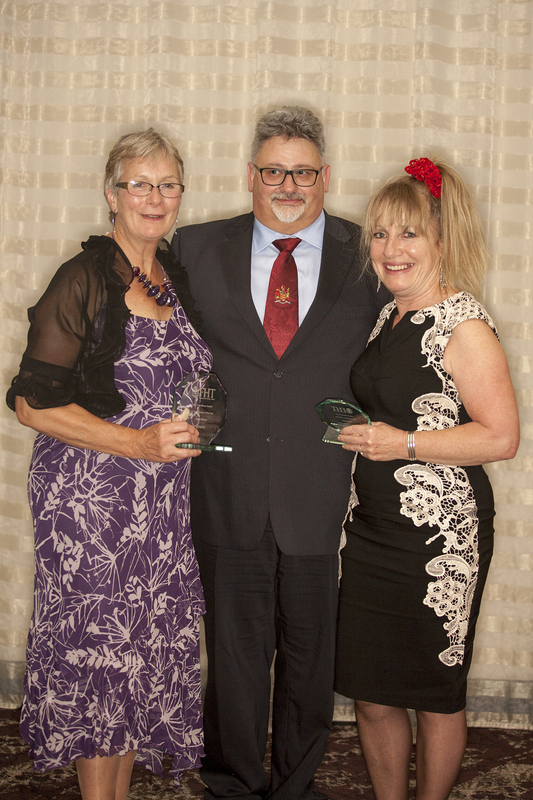 Jacky went to the FHT Training Congress and Gala Awards Dinner at the Holiday Inn at Stratford-on-Avon on 5th/6th September 2015 to receive the award from Paul Battersby, FHT Vice-President, and was pleased that Caroline Bradley, Ros and John Elderkin and Julie Payne joined her to celebrate in fine style. 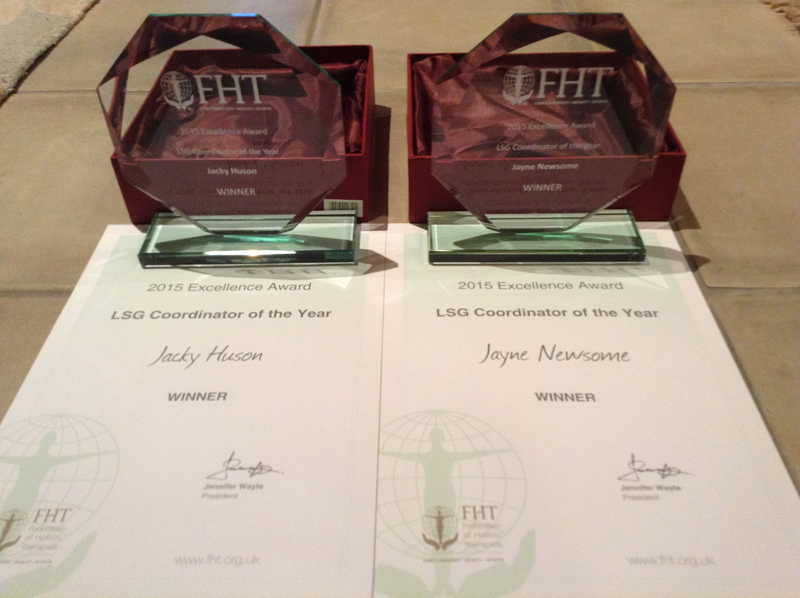 “This award is for an LSG Coordinator or Joint-Coordinators who have supported the FHT, local like-minded members, other therapists and the public, through meetings, events and other activities. 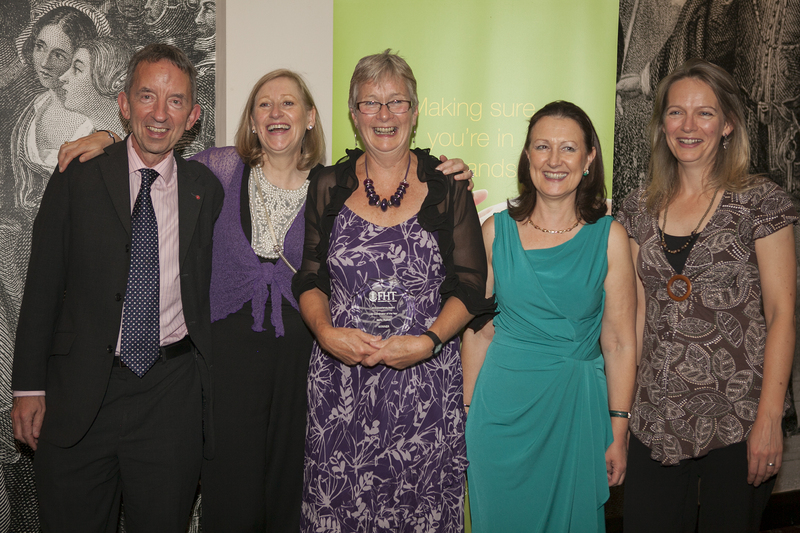 It goes without saying that ALL of our coordinators do a fantastic job, but this award was introduced so that those attending local meetings could show their gratitude for the support their own LSG coordinators provide, all on a completely voluntary basis. 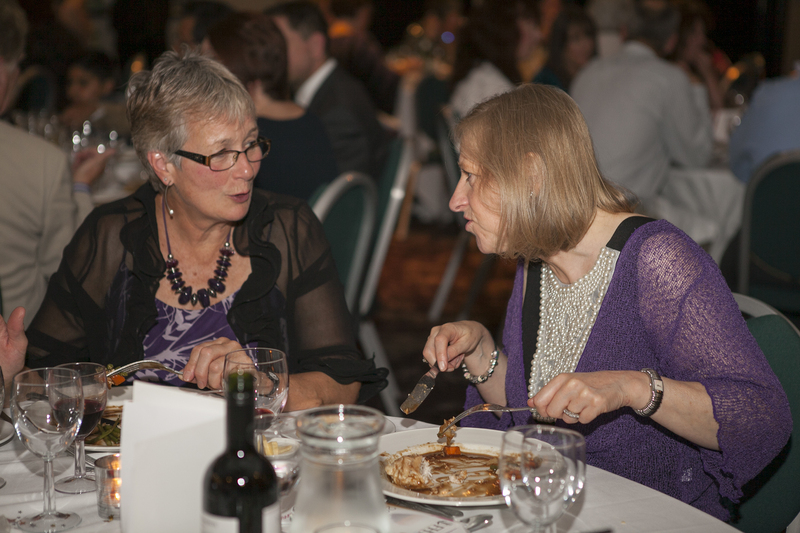 From the very first LSG meeting held by Jacky and Jayne back in 2007, the group has continued to enjoy a wide range of talks, activities and support provided by these two coordinators. Jacky and Jayne say “It is a tribute to the continued support of members which encourages us to keep striving to run an active Local Support Group in Nottinghamshire. We both fervently believe that having such a network is very important for therapists to feel part of the bigger (in fact, biggest Complementary Therapy professional) organisation. Our delicious dinner was accompanied by, very strangely – a growing number of bottles of wine!! Categories: Event, Uncategorized | Permalink.